Brigadoon is the story of New Yorkers Tommy Albright and Jeff Douglas who get lost on their vacation to the Scottish Highlands, and stumble upon Brigadoon, a mythical village that appears for one day every hundred years. Tommy – who has a fiance in New York – soon falls in love with Fiona, a young woman from Brigadoon. And as Tommy learns to fall in love, he learns to get everything you often have to give everything. Elise McCann plays the hilarious Meg Brockie who looks for love in all the wrong places opposite Luke Joslin as Jeff, Tommy’s fun but cynical best friend who doesn’t believe in love. Also starring Rohan Browne as Tommy, Genevieve Kingsford as Fiona and the legendary Nancye Hayes as the town matriarch Mrs Forsythe. 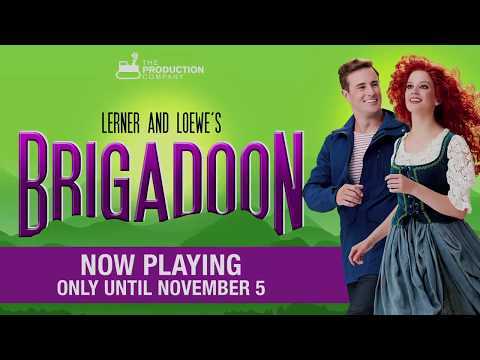 Lerner and Loewe, wrote some of their best loved standards for Brigadoon – Almost Like Being In Love, I’ll Go Home With Bonnie Jean and The Heather on The Hill. Directed by Jason Langley, Musical Direction by Michael Tyack and Choreography by Cameron Mitchell.